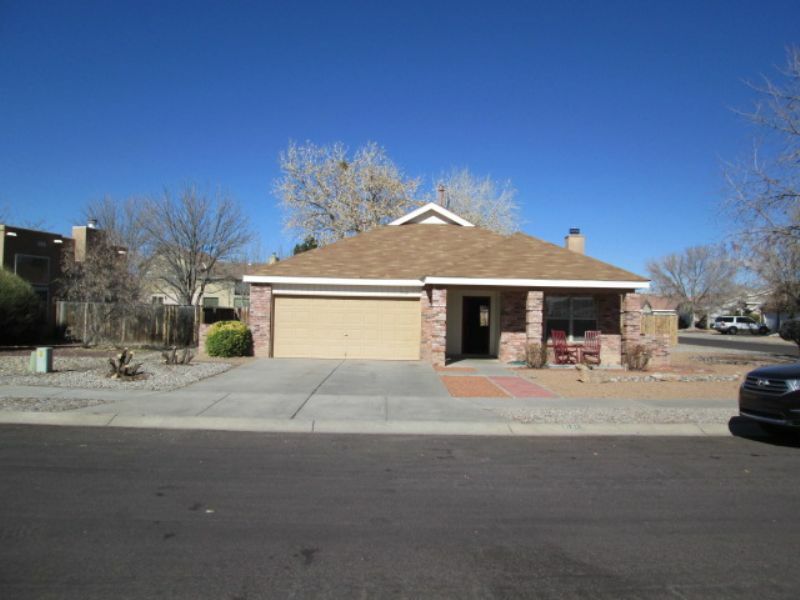 Residential Rental Listing 3 bed 2 bath in Albuquerque, NM. Large Corner Lot! Good looking Sivage Thomas home on large 1/4 acre corner lot. New flooring! 14 foot vaulted ceiling in great room. Ceiling fan. Fireplace. Large kitchen with pass-through. Lots of light. Refrigerator. Large covered patio in back yard. Pets permitted with owner approval. Resident to pay all utilities. No smokers and no section 8 please. Shown by appt w/owner.